This weekend I took a break on Saturday since it was windy and cold. It gave Bill a day to work on the bathroom, though I am not sure how much he really did, lol. On facebook there is a group called Homespun Whimsey - Woolen Friends. She offers free patterns and block of the month. When I saw the bunny, I knew I had to make one. I used what I had in my stash drawers and did more prim stitching, but I wanted to add a pop of color too. I like having things that the boys enjoy too, so more color in my pieces, lately. It was fun to make and I put it on the wall with rug tape. A great way to hang pieces without wrecking the walls. On Sunday the boys had plans with mom and dad, so Bill and I went exploring by ourselves. 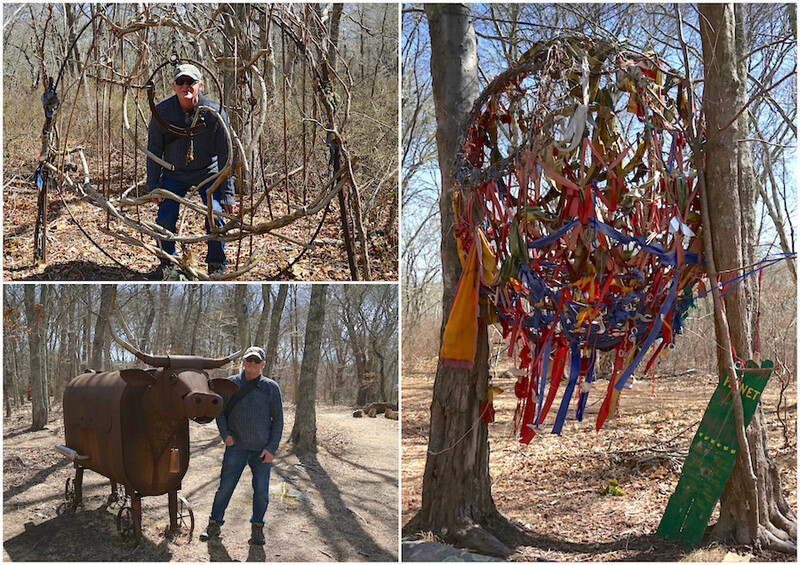 We went to a small wooded park, that has paths and along the way, artwork by local artists. It was a short walk, but fun to see something different and I left a painted rock along the path, for someone to find. I was in the mood for a longer hike, so we went to the bird sanctuary at Trustum Pond. It was more crowded than usual, but we could still enjoy some quiet hiking along the paths and the local wildlife along the way. 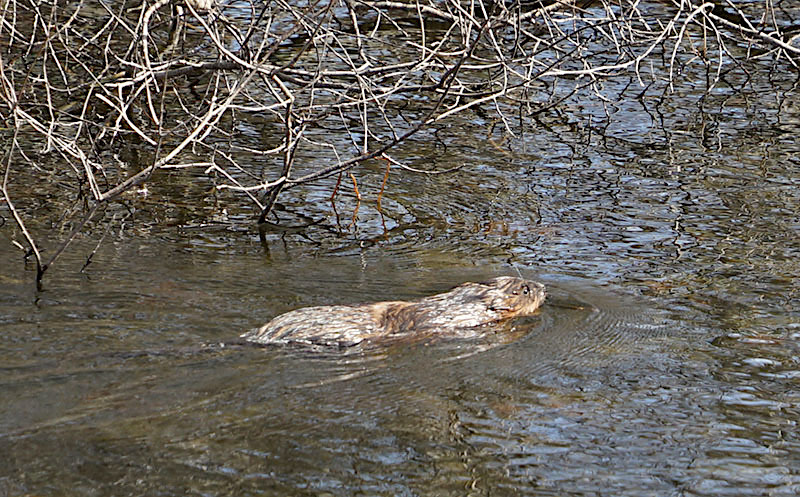 There are fields that are off limits for hikers, but I spied this guy and snuck in a little way to get a shot. 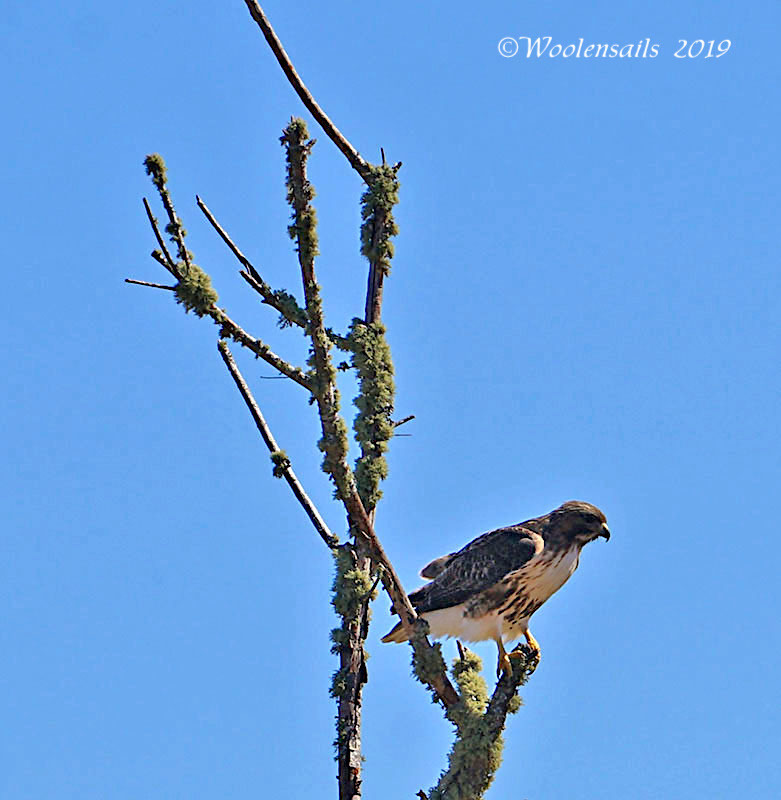 A red tailed hawk, perfect spot to watch for mice in the fields. 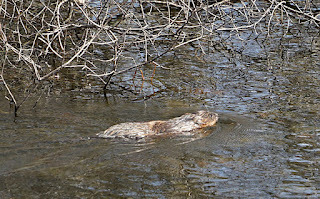 The turtles are still hibernating, but we spied this beaver in the pond. At the entrance, there is an area for birds with feeders and water, so a great place to see varieties of birds that are coming and going for the spring migration. This little Tufted Titmouse sat just long enough to get a shot. The tide was going down and I wanted to check out the beach nearby. It was windy and cold, so I did a quick look in the immediate area and grabbed what I could, but too cold to stay out too long. The beach was covered in rocks, I know there was tons of glass in there, hated to leave, lol. 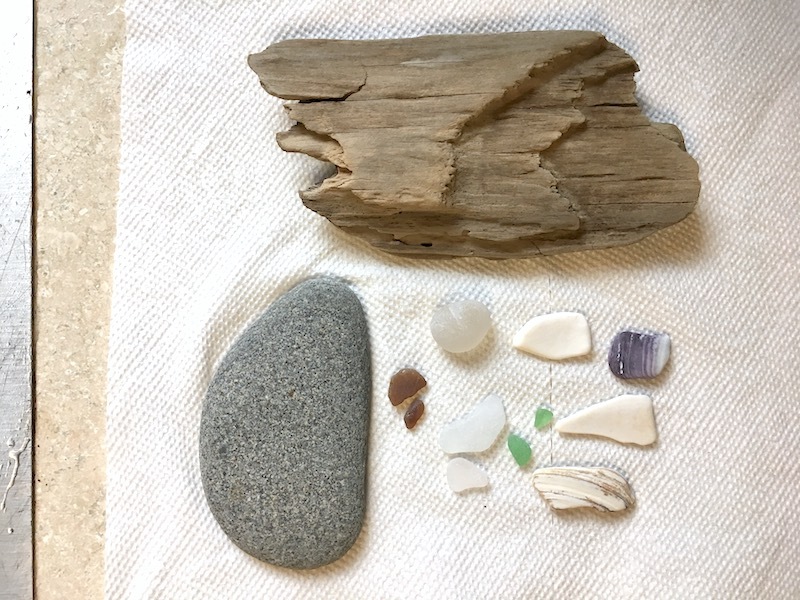 The larger round piece was so clear, I grabbed it, thinking it was probably a rock, but I realized it was glass, so a nice find. Hopefully I can get in the creative mood this week and start working on some art projects. Cute bunny!!! That park looks like a fun place. 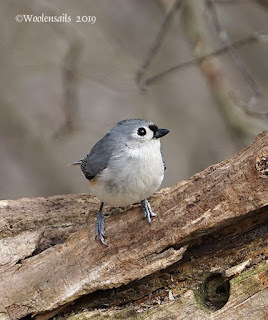 LOVE the pic of the Tufted Titmouse - little sweetie! 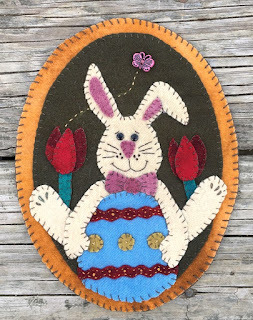 Love the bunny, Debbie, and your photos. Love that little bunny!! He's so cheerful! You sure live in a beautiful area Deb! Thanks for sharing your bunny, I’ve printed one off at 50% to maybe make into a bowl stiffer or pincushion. Your bird photos are great and I’m moo-ved by that metal cow! The outdoor artwork is very cool. Such a sweet bunny finish. 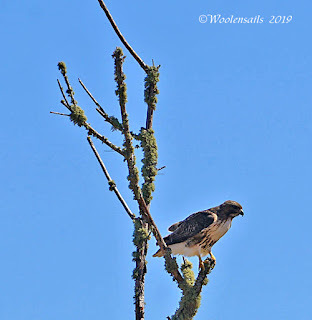 There are several red tailed hawks who live in this neighborhood and often see them sitting in a nearby tree waiting for a rabbit or squirrel to grasp. I know they need food too but wish they'd leave my bunnies alone. Such a sweet bunny. Your outings always look like fun. that bunny is cute. I love the walk you took us on, thank you! Your bunny is so adorable. The bunny is cute with those big feet.